A new outright elapsed time race record of 5 hours, 17 minutes, 26 seconds (05:17:26) was set by the MOD 70 trimaran (multihull), Orion. She is owned by Tom Siebel, of Saint Francis Yacht Club; she was skippered by Charlie Ogletree. Other outstanding sailors onboard included Paul Allen, Hogan Beatie, Zan Drejes, Peter Isler, and Damian Foxall. The 63–foot Aszhou, owned by Steve Meheen, of San Diego Yacht Club, set a new monohull elapsed time record of 9 hours, 35 minutes, 34 seconds (09:35:34). The #N2E Newport to Ensenada International Yacht Race takes place in April each year. The race covers 125 nautical miles, from Newport Beach to Ensenada, BC, Mexico. It was first held in 1948. In the 2016 Newport to Ensenada race, a sailor fell overboard at night near North Coronado Island. It was dark, windy, and boisterous. Crew promptly threw the dan buoy to the MOB. Although he broke his collarbone in going overboard, he was recovered; he survived. He shared his story with us. Click to learn more about the Newport to Ensenada Race on Wikipedia. Please visit Just Marine at the 2016 Annapolis Fall Sailboat Show, also known as the United States Sailboat Show. We will return to Booth D-17 with the dan buoy, the ReelSling, the Recovery Ladder, and the 2 man coastal life raft, all from SOS Marine of Australia. 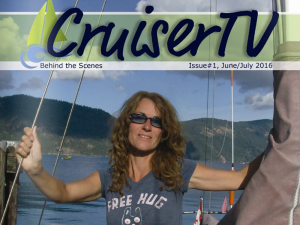 CruiserTV has published its first newsletter about cruisers and the cruising lifestyle. 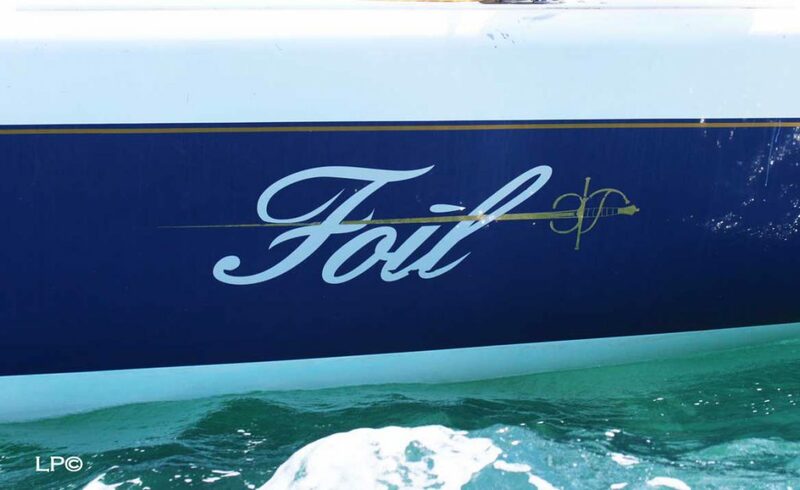 This June/July 2016 issue of Behind the Scenes includes the April 2016 Ensenada Race MOB rescue story, as told by the crew of Foil who saved their shipmate’s life with the dan buoy. We first read about the night time MOB recovery in the 2016 N2E Race on SoCal Sailing News. H/T to Steve Washburn for running the story. We hope it motivates more people to train and prepare for emergency. In the 2016 Newport to Ensenada International Yacht Race ( #N2E ), Foil, a Farr 40, sailed fast through the dark and windy night. Under spinnaker, she was making about 12 knots in winds gusting to 20 knots. Out by the Coronado Islands, the boat rounded down; helmsman Val G. went overboard. He broke his clavicle (collarbone) on the way. Foil owner, Gordon Leon, told crew to throw the dan buoy to Val.